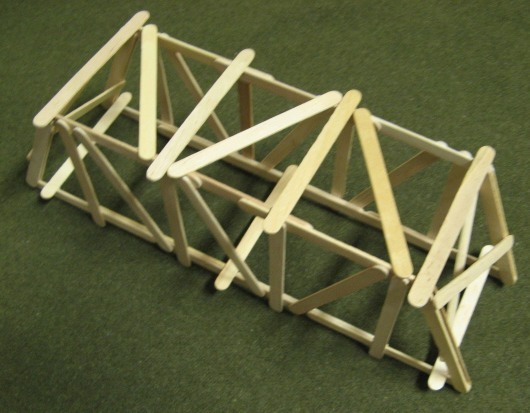 This is the updated design of my Short Pratt Truss Bridge made from popsicle sticks. The only difference from the original was the addition of 4 more popsicle sticks in key areas. 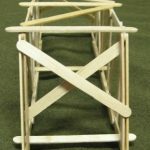 I doubled up the angled sticks on each end, and made the lateral bracing into an X shape rather than a zig-zag pattern. 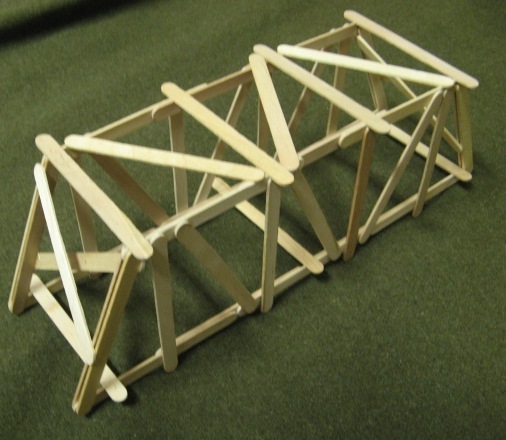 This bridge used 50 popsicle sticks, weighed 75 grams, and held 200 pounds. 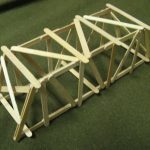 It’s efficiency score was 1212, which is the highest out of any popsicle stick bridge I have ever built. The video makes it pretty clear how the bridge failed. The first stick to go was on the left end closest to us (on the first part of the movie). The bridge slowly started to lean to the left as this stick was probably a weaker one, and it started to bend more and more until it finally buckled. As soon as it broke off, the rest of the bridge collapsed. This is sweet to see on this video clip because quite often the reason a bridge broke is not easily seen. 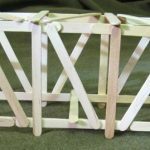 One way to help avoid this from happening on your bridges is to pay extra close attention to the quality of your popsicle sticks. 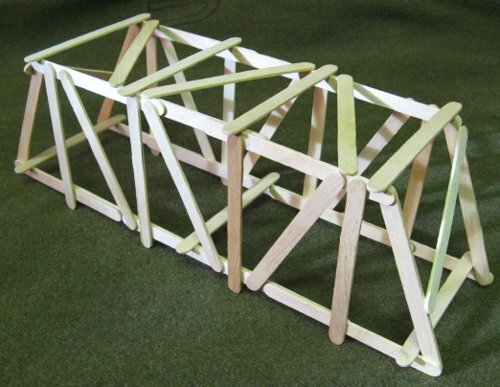 If you have solid popsicle sticks that make up your bridge, then your entire structure is more likely to be solid. Where can we find the blueprints? This bridge was 13.5 inches long. 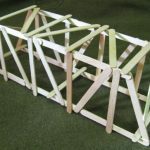 Unfortunately the potential efficiency of a bridge decreases as the length increases. 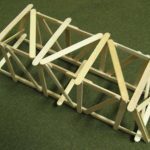 You would have to use different materials and perhaps even a completely different design to keep the same efficiency if you made this bridge longer. I was just wondering how you calculate the efficiency score. Please comment and tell me! what did you use to hold the popsicle sticks together? plain glue? Is the way you built it in this vid the way??? I see it held all that wieght.Thanks! Look under the Basic Plans section. The loading is being distributed via the surface area of the weights, which is indeed what your design calls for, but most bridge contests don’t allow this distribution. That is an interesting and true observation, Travis. 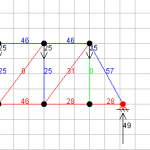 The truss analysis diagram does show how the load is distributed throughout the truss because the load points are equally divided over the length of the bridge. 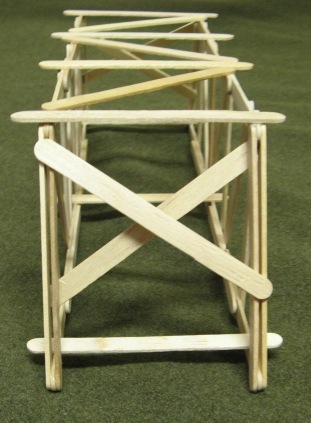 By concentrating the load into a smaller area, the forces increase on key members of the truss. You have to design your bridge according to how it will be loaded. 54 queries in 0.395 seconds.